Puffins, Penguins and Polar Bears, oh my! Twenty working Siberian husky dogs will visit Discovery Point in Dundee on Sunday as part of Puffins, Penguins and Polar Bears, a family day themed around Arctic and Antarctic animals at the award-winning visitor attraction. Visitors will be able to meet the ice dogs when they visit on Sunday, August 5 to give the public insight into animals living and working in extreme environments. The dogs will be featured alongside other activities inspired by animals living in polar regions. Visitors will have the chance to get up close to natural history specimens including a leopard seal skull, a polar bear skull and a narwhal tusk, kindly on loan from the University of Dundee Museum Services. Children can enjoy themed storytelling sessions with inspiring storyteller and puppeteer Sylvia Troon and face painting by local face-painter and artist Kitchimama, along with other arts and crafts. The family day is the latest in a raft of ‘cool’ Dundee happenings, including the popular Maggie’s Penguin Parade that has been taking the city by storm.  Discovery Point, home to the historic ship RRS Discovery and boasting recently upgraded exhibits and galleries, honoured the Parade’s penguin theme last year with the launch of a new fluffy toy, Emma Penguin. A clever play on the Dundonian accent, Emma Penguin is a best seller in the giftshop. This event will take place between 12-4pm on the 5th of August at Discovery Point and is included in the price of museum admission.  For all the latest News from Verdant Works & DHT, or to return to the latest news from RRS Discovery	please use the following links.